Jean Dubuffet at the Seagram Building. Image courtesy of Pace Gallery. 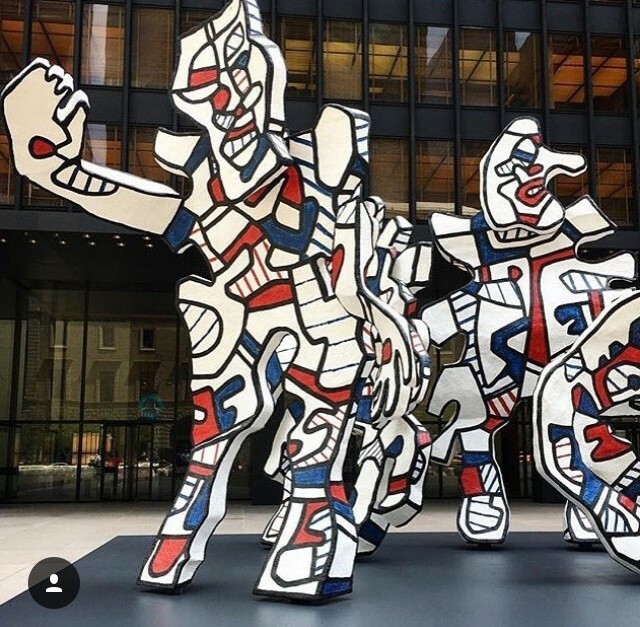 Pace Gallery presents Jean Dubuffet's Welcome Parade on view in front of The Seagram Building on the plaza, located at 375 Park Avenue between 52nd and 53rd Streets, New York.